CAREWARE-ERP: Sage Solutions Summits 2016 – Post Seminar Updates. 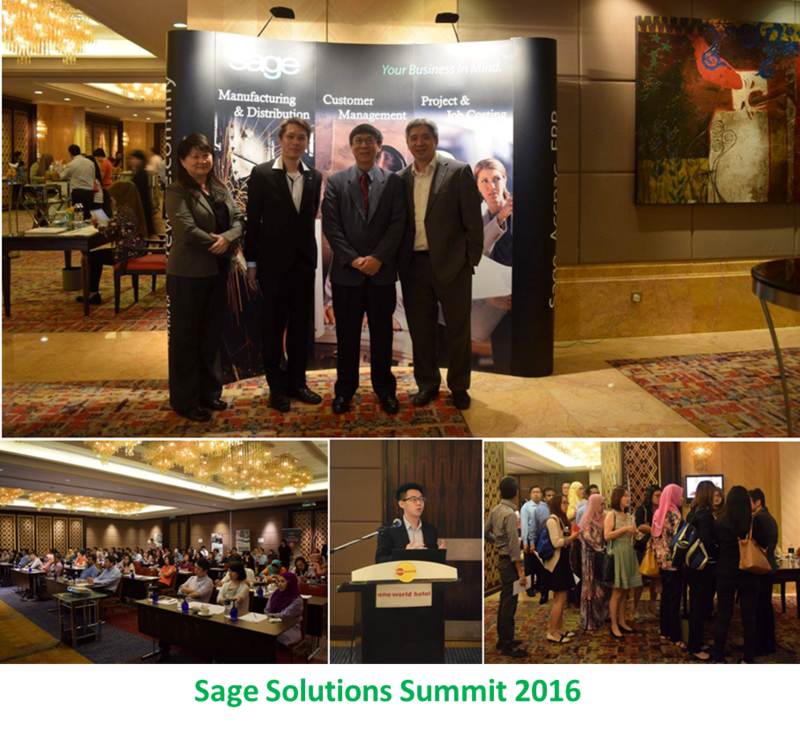 Sage Solutions Summits 2016 – Post Seminar Updates. The Sage Solutions Summits 2016 on the 17th August concluded on a great high! It was attended by over 100 attendees representing difference industries. It was a resounding success and a true celebration of the mobile revolution and the challenges it poses for Enterprise Resource Planning (ERP) and Customer Relationship Management (CRM). The seminar kick start with the opening address by our Managing Director, Robert Tan explaining on how Careware can help small to medium size company progress and compete successfully in today economy with Sage Business’s solutions. Our vision is to partner with our customers for the purpose of better understanding their business process and improving our value to them. This vision will be realized by adopting a high-standard of communication and operating in a manner consistent with our core values. Mr Anthony Tian, Sales Director of Sage Asia then takes the stage to present Sage corporate & solution profile and the product roadmap. Certainly customer can be assured of the investment in Sage business applications as Sage is committed to continuous enhancement of their software. Going forward all Sage products will be built with a mobile and cloud strategy in mind. This is not a trend with an end in sight; it is a new way of life. Our senior consultant for Sage 300 ERP, Mr Frankie Chan did a demonstration on what’s new and Sage Manufacturing Shop Floor Control & AutoSimply Bar Coding solutions. The Sage CRM was introduced by Sage Asia Business Manager Mr Nicholas Lim on how the important of an integrated enterprise system between Sage 300 with Sage CRM. And Sage CRM consultant, Lim Rong Chuan did a demo on Sage CRM mobility and social media capabilities. Surely the combination of both applications would help your company meet the demand of today’s market place and be on the forefront of progress. Mr. CK Chong of Sage Asia takes the stage to explain how Sage Easy Pay/HR complements the Sage Solutions Suites for a total solution between Sage ERP, Sage CRM and Sage EasyPay. This focus solutions summit closed with some networking & collections of gifts and we had a good lunch at the Cinnamon Coffee House in The One World Hotel. About CareWare Systems : Through its partnership with Sage, CareWare Systems helps small and mid-size companies in Malaysia reach productivity levels at the top of their respective industries. CareWare represents a variety of business management software including Sage 300 ERP, Sage CRM & Sage EasyPay. For companies interested in growth, profitability and superior software support, CareWare is the Sage business partner for you. For more information, please visit our website: http://www.careware.com.my/.